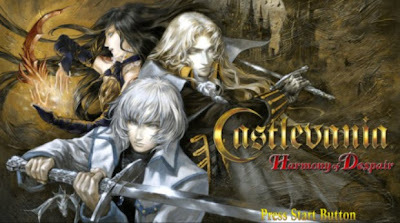 Synopsis: It has been a while since wanna be vampire slayers have been able to play a Castlevania title on anything other than a Nintendo handheld. Well the time has come for Konami to give back to its fans with the release of Harmony of Despair, exclusively for the Xbox Live Arcade. 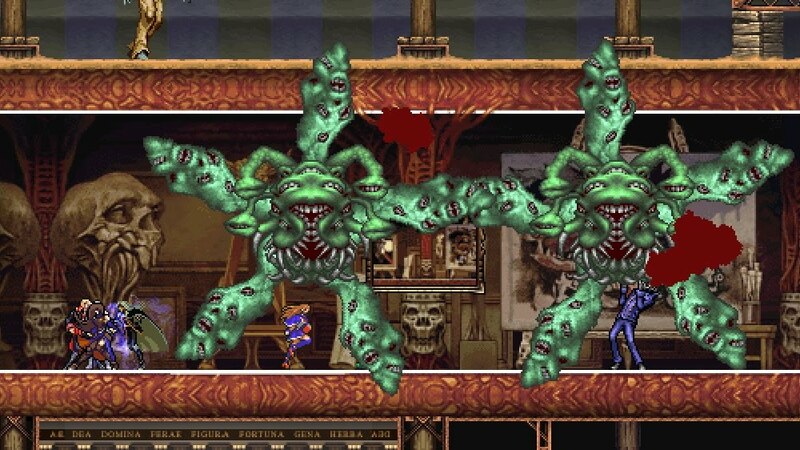 This iteration introduces features that are new to the series, changing up how you play Castlevania games. 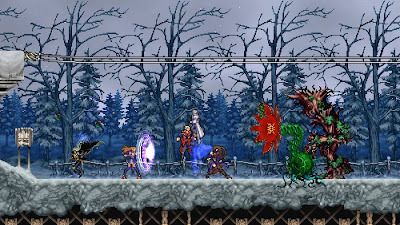 In Despair, the player gets to choose from a number of lead characters from Castlevanias past to take on the big, bad Dracula, but this time the battle can be taken online in an up to six player coop gameplay. On top of the online coop gameplay, a competitive survivor mode is available to slay other players. Now that I have been grinding single player and rushing multiplayer levels, here are my impressions of time spent with Koji Igarashi’s latest masterpiece, Harmony of Despair. Praise: To start my review, I need to preface it by saying that this is not like the Castlevania titles you have played on the Nintendo handhelds, as there are six levels, all timed, and you do not level up. 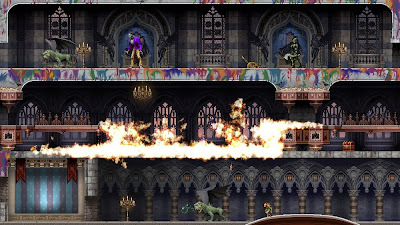 I know that sounds like all of the key elements to a Castlevania title, but there is still a lot of fun to be had, mainly with the online coop, as you and up to six other players storm each castle to loot for new items and make your way through large bosses until you get to take on Dracula. 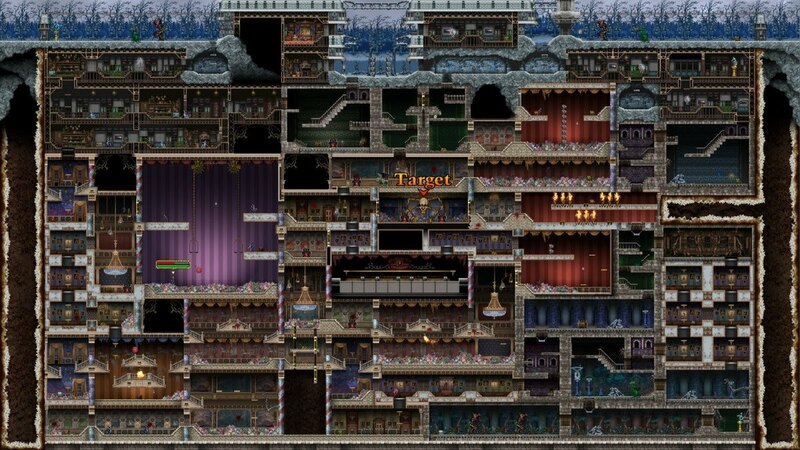 Each level is large and hard to explore all the rooms within the half hour time limit when playing alone, increasing replay value, but when playing coop it seems like plenty of time, and the best part is that if you or your teammates find a chest with items, everyone on the team gets the contents. If you die before completing the level, you still get to keep the items earned throughout the level to equip or sell before you retry. 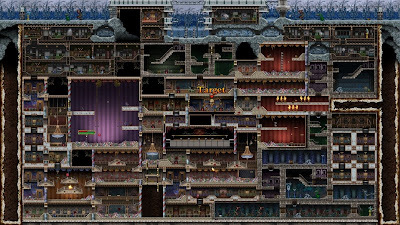 Gripes: Not all change is considered good in my opinion as I am sure I value different aspects of games than most of our viewers and after spending a couple hundred hours with previous Castlevania titles, there are a number of things I wish went unchanged. The first being timed levels, sure it is enough time to play through the level but at the same time, it is not enough time to really explore the environment. The ability to level up is no longer available and the way in which you increase your character’s stats are by getting new equipment, either from chests or through the shop, and you are unable to change equipment and items on the fly, but have to do it from designated spots in each level. Lastly, the difficulty in single player is significantly harder than playing through cooperatively, resulting in repeated grinding to get money and new equipment to ease the physical beat downs from bosses. Overall, your gameplay style would really be the biggest factor in regards to your appreciation for this title. 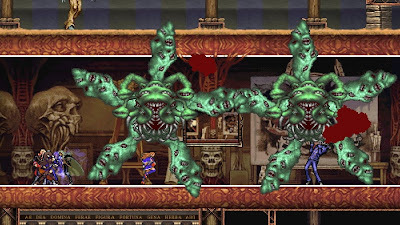 If you are a glutton for punishment, when playing single player or do most of your gaming online with others, you will like Castlevania: Harmony of Despair. However, if you don’t like playing online or do not have a gold membership, then you may want to pass on this. While it may not be the title you were expecting, it does still offer a lot for the 1200 MS point pricetag, such as huge 2D side scrolling levels, looting, and support for future DLC of levels and characters. 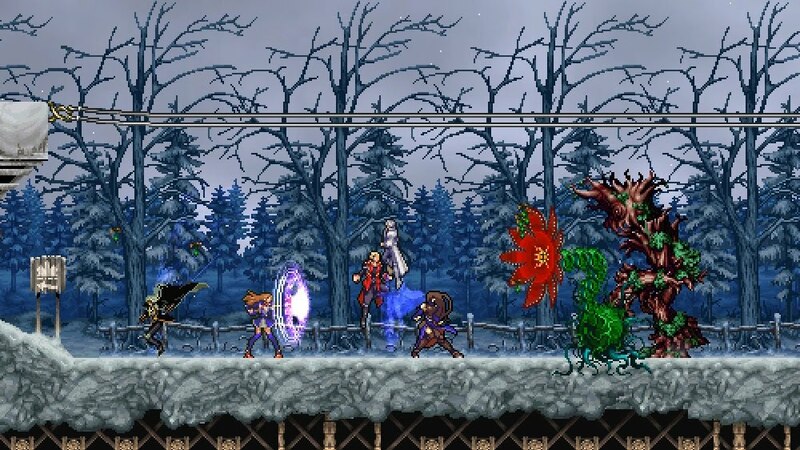 Mashbuttons.com gives Castlevania: Harmony of Despair a 7 out of 10. Castlevania: Harmony of Despair is available now for the Xbox Live Arcade.